The finale is only a couple of days away and the final 3 have been chosen. Unfortunately for this unlucky houseguest, he was blindsided with only one week to go. It's one thing to be evicted in the first few weeks but to make it (almost) the entire three months and get evicted near the end must be a bitter pill to swallow. He played a pretty athletic game early on and surprisingly was a member of almost every powerful alliance. With only the finale left to go, there is just one more jury spot left to be filled. Until then, the sixth jury member and latest person evicted from the game is Shane, the 26 year old house flipper from Vermont. On Day 1, Shane was selected by Big Brother 12 veteran Britney to be on her team along with Willie and JoJo. While his team suffered in the early weeks with Willie's expulsion and JoJo's eviction, Shane proved to be a tough competitor by winning the first three Power of Veto (POV) competitions and the third Head of Household (HOH). Shane joined two powerful alliances: the 'Silent Six' (Shane/Britney/Dan/Danielle/Frank/Boogie) and the 'Quack Pack' (Shane/Britney/Dan/Danielle/Ian). However, he proved to be closer allies with his former coach Britney and Danielle. He made it to Week 9 but HOH Ian placed him on the block against Jenn. He won his fourth POV of the season and removed himself. Unfortunately for Shane, it was a double eviction week and Dan convinced the next HOH Danielle to remove himself from the block. Shane and Danielle believed the plan was to evict Ian while Dan had another idea. On Day 69, he cast the only vote to evict Shane. Shane agreed to a bad decision. With only four people left in the house and his best-friend holding both HOH and POV, it should have been an easy week for him. He was practically guaranteed a Final 3 spot. Dan (who was nominated) convinced Danielle that removing him from the block would be the best decision and that he was on board to evict Ian. Danielle agreed to the plan and confirmed with Shane, who hesitantly agreed as well. What Shane didn't know was that Dan had wanted Shane out of the house instead of Ian. 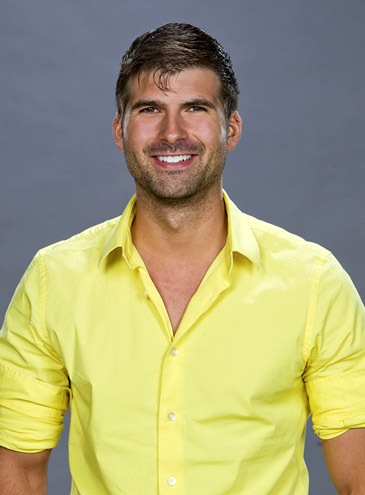 By agreeing with Danielle to remove Dan and subsequently making Shane the replacement nominee, Dan had all the power to evict Shane from the house. Shane didn't plan on evicting Dan; he was going to evict Ian. He should have never agreed with Danielle to take Dan off the block. His best move to stay in the game was to remind Danielle that he had her best interests in mind and would follow through with the plan. There was no point in using the POV if the alliance of Dan/Danielle/Shane was truly intact. He needed to reiterate to Danielle that she could trust him and that he wanted to make the last vote. Every houseguest should follow this one rule: never agree to go on the block. Being a 'pawn' is just a nice way of saying that the HOH or the house might consider evicting you if things don't work out. To be fair on Shane's part, he thought he could trust Dan but let's be real... after everything that happened this season, he should have known better. I hope Shane has fun at the jury house and that he can finally end his showmance.